It’s my turn today on the Between a Rock and a Hard Place Great Escapes Book Tour! I loved the characters between the banter of Chris and Pru and the wedding plans being funny this series is great. The fact you are learning about gardening along the way is not bad either. If you enjoy cozies and gardening this is a great series for you. 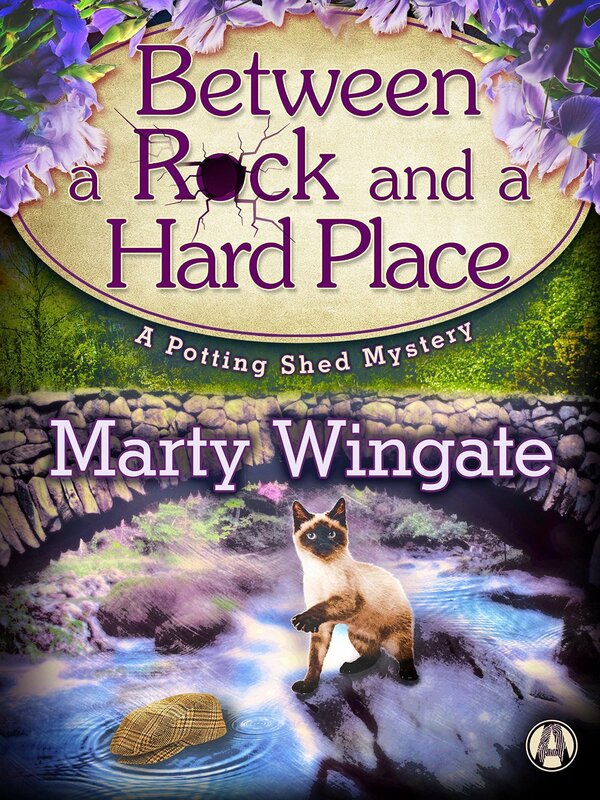 I can’t say enough good things about Author Marty Wingate’s Potting Shed Mysteries, especially Between a Rock and a Hard Place, her best one yet! I would love a paperback copy of Between a Rock & a Hard Place. The Mysteries you write are always on my want to read list. Thanks for this chance. This sounds like such a fun series. Thanks for the giveaway. This sounds like such a fun story to read. Special Guest – Daryl Wood Gerber – Author of Fudging the Books – Giveaway too! 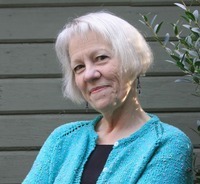 Cozy Mystery with Frankie Bow – Author of The Musubi Murders – Giveaway too!